Start making your playlist because the Row by Row Experience is just around the corner and there are more shops to visit than ever! The theme this year is 'Sew Musical' and we hope you will come down and sing along with us. Our block this year is called 'Follow the Bouncing Ball'. The music starts June 21st and the beat goes on until September 4. The last curtain call for completed quilts will be on October 31st. What is the Row by Row Experience you ask? Well, it is like a shop hop, but it's not... no fees, no cards to stamp, and all summer to play! Simply visit any of the participating shops and receive a free pattern for a row in a quilt. Combine your rows in any way to create a unique quilt that represents the fun you had traveling throughout the summer. Travel with friends, discover new quilt shops and have fun collecting rows! A shipment of spectacular Hoffman and Galaxy batiks has arrived. The colors range from teal to purple, red, orange, white and black. These pieces make a great addition to our current batiks. New class listings over on the class schedule, take a peek! 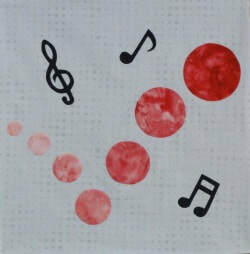 We have a whole bunch of new classes coming up soon and I think they will be a lot of fun. Need a new apron? We have a class for that! Want a fashionable bag for summer? We have a class for that too! And don't forget, with all of our classes, any course fabrics purchased in the shop are offered at a 15% discount. We received two very cute collections of children's flannel. Both are bright and snuggly for your babies. Come in and see how soft they are. 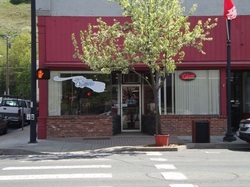 Palouse River Quilts is serving the needs of quilters in the Colfax area. 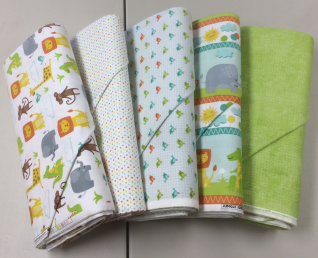 We carry a full line of fabrics, books, patterns, thread and notions for quilters as well as embroidery patterns, floss and supplies. We specialize in excellent customer service! Please plan to visit our shop soon to see what we have for you. The local quilt guild, Whitman Samplers, meets the second Tuesday of every month at 6:30pm at our shop. Anyone with any interest in quilting is welcome to attend!